Our Baby Portrait Planners are special to us. After following the milestones of baby’s first year, we often grow close to many of our clients, and this sweet client touched my heart long ago. She is absolutely precious and I love her and her family. Her little boy is the sweetest and when she told me she was expecting a baby girl, I knew we had to make her newborn photo shoot extra special. 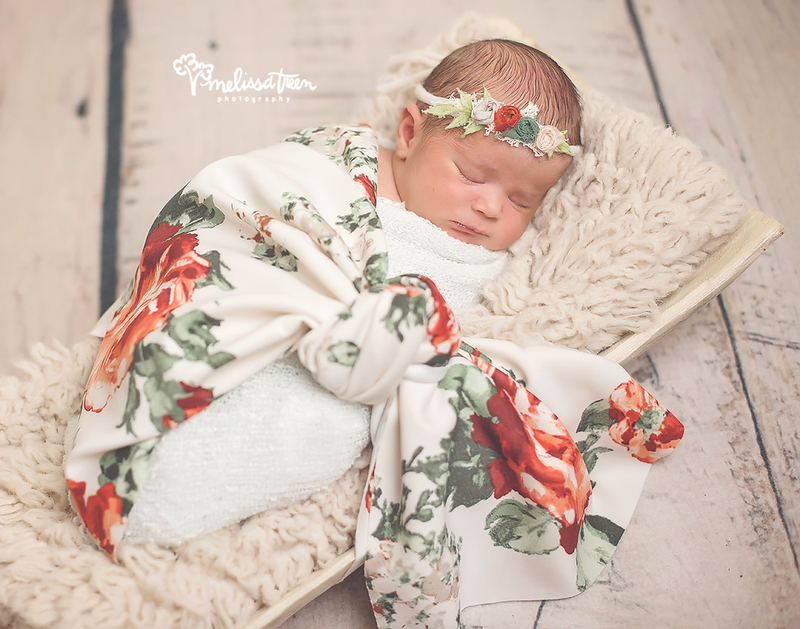 Immediately, I began searching for the perfect touches to incorporate into her newborn portrait session. Knowing baby girl would be born near Christmas, tones of red and green floral were the best option. Unique, beautiful and stylish … isn’t this baby girl gorgeous!